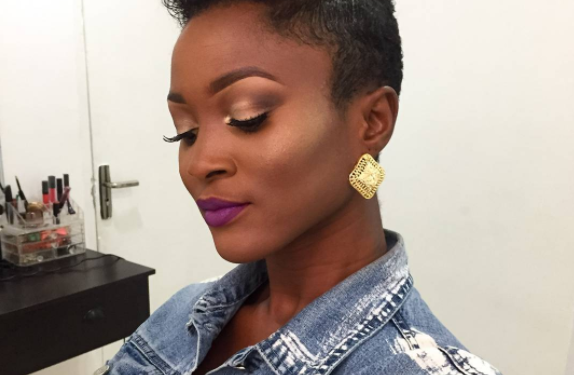 Do you think you know rapper Eva Alordiah very well? Here are 20 facts you should know about the rapper. I like to Sleep on my back. I stopped sleeping on my chest since the day I heard/read that it could make your Breasts flatter. Is this true? I always go out to stare at the sky when I wake up everyday. There’s something out there. I was Born in the Car, on the road! My Mom self delivered me right there in the passenger seat. It rained heavily after I came out and My first bath was at a Petrol station. I began to Rap only because a Girl in my Dorm (Yemisi Ayinde @miel_411) in secondary school was rapping to ‘Cleaning out My Closet’ by Eminem and I was so Jealous I had to learn the entire thing! I like to Cook. Only if the Kitchen is comfortable and clean and there is someone else to feed. I use Glasses. I got my first frames at age 10. It made me look like an Efiko in school. I was actually an Efiko in school. I really really really Reeeeaally Love Makeup. It reminds me that I am female. Everyday without fail, I make sure to stand Naked in front of my Mirror and admire myself. Every girl should do this. Reading helped me through my Depression. Now I just really love to read! I read for no reason. My Fav color used to be black. Now it is white. I looooooove the Internet and all the many things I can do with it. But by all means, I stay away from ‘Nigerian Internet. It is a straight path to hell. Which of this facts do you know about her before?